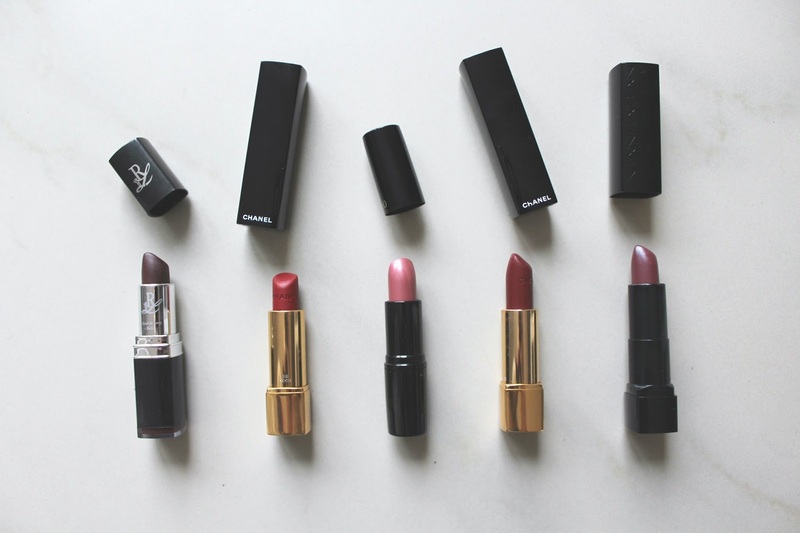 I finally found some of my favorite lipstick colors for fall. Normally I like wearing lighter colors when it comes to lipsticks, but as fall is finally here, I tend to put on some deeper shades. Here you can see my current favorite selection. einfach ausprobieren, worauf man Lust hat. Schließlich trägst du den Lippenstift für dich und nicht für andere!